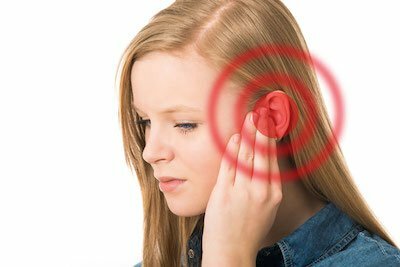 Tinnitus is the perception of an insistent, unpleasant ringing, buzzing or other consistent noise, located in or near the skull but without a definable external source. It is not considered to be a condition in its own right, but a syndrome or symptom related to many forms of auditory damage or disorder. This health complaint is estimated to affect 15% of all adults. Tinnitus may have a significant negative impact on the life quality of those affected by it. Tinnitus is often perceived as a ringing or persistent high tone very close to or within the ear. These noises may negatively affect the attention of the patient. Other patients may describe it as a buzzing, hissing or otherwise high-pitched and/or pervasive noise. Tinnitus may be unilateral (i.e. heard in either the left or right ear) or bilateral (heard in both ears). This syndrome may also have deleterious effects on the emotional, psychological and functional status of the patient. These effects have been directly correlated to tinnitus symptoms. Tinnitus is often regarded as a symptom of auditory conditions, such as damage to the tissues in the ear that control the perception of tones and frequencies. Age-related hearing impairments, or disorders of the circulatory system around the ear, may also be related to this complaint. Other cases may be related to exposure to very loud or destructive levels of noise, such as from an explosion, industrial equipment or farming equipment. An increasing number of researchers argue that tinnitus is a disorder of the connections between the inner ear and certain areas of the brain. Some scientists conclude that tinnitus is in fact related to damage of the nervous tissue in or around the auditory cortex of the brain. Others have found associations between increased activity in further brain regions, age of tinnitus onset and distress caused by the syndrome. 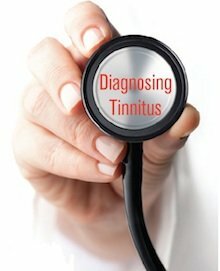 Different research groups have concluded that chronic tinnitus may be associated with an impaired connection between the cerebral cortex, which controls advanced functions such as memory, perception of the environment and cognition, and the thalamus, which supplies the cortex with sensory information. Some scientists had developed a theory that tinnitus was associated with deficiencies in vitamin B12. A recent study including 100 patients with tinnitus found that 63 of these had low vitamin B12 levels. However, treating this deficiency had no significant effects on the complaint in these patients. Chronic inflammation of the middle ear (otitis media) may also be associated with some cases of tinnitus. Some patients with tinnitus may respond well to ‘masking’. This is exposure to a certain frequency of sound, emitted by a portable or wearable noise generator, that can ‘over-ride’ or ‘cancel out’ the tone associated with the complaint. Alternatively, tinnitus may be treated using a conventional hearing aid. A recent study, including 974 patients, indicated that hearing aids were preferable and more effective in treating blast-related tinnitus compared to noise generators. Tinnitus related to otitis media may be improved by surgery to correct damage caused by this inflammation. 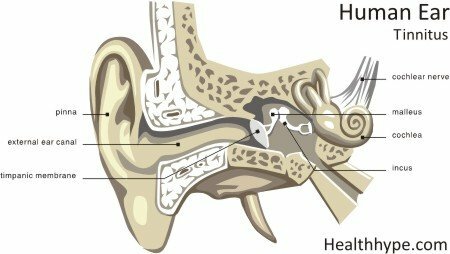 As the natural molecule histamine is associated with the regulation of both inflammation and some auditory nervous tissue, drugs that block its receptors in the brain are currently proposed as treatments for tinnitus. Other new and emerging treatments for tinnitus focus on the potential indicated by the studies into its links with abnormal brain activity, as mentioned earlier. Presuming further research confirms the findings of these studies, deep brain stimulation (a form of implant placed in the brain to correct this activity) may be a viable option for severe treatment-resistant tinnitus. Dr. Darius Kohan is renowned for his otology expertise and has been highlighted on several outlets such as a CBS spotlight on tinnitus and is often cited in WEB MD and other medical outlets. If you have any questions about tinnitus and its treatments please feel free to call Dr. Kohan’s office for an appointment at (212) 472-1300.